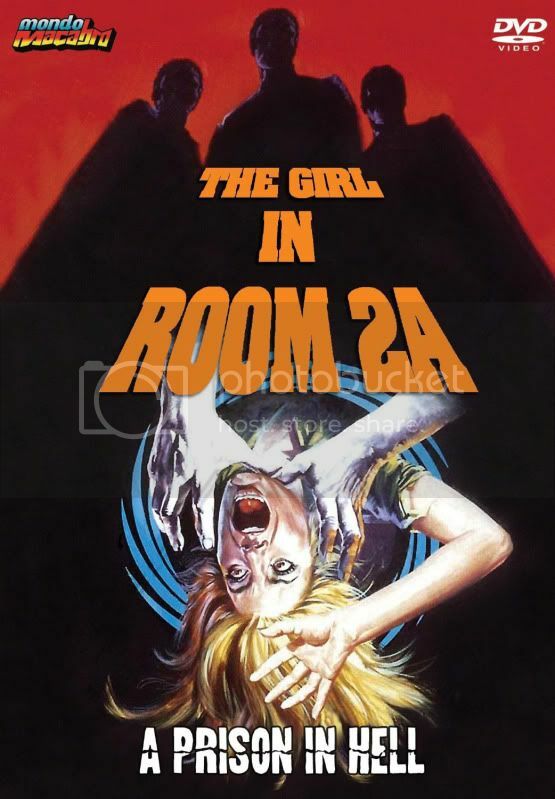 Just released from the fine folks at Mondo Macabro is the stylistic, 70s Italian horror film The Girl in Room 2A. I guess calling it a horror film is somewhat of a broad term since this film has elements from several different genres. I was unfamiliar with the film when it was announced to be hitting DVD but once I read the interesting plot, I had to check it out. I was also a fan of the leading lady, Daniela Giordano, from such classics as Bava's Four Times that Night and Sergio Martino's Your Vice is a Locked Room and Only I Have the Key as well as Lady Frankenstein's Rosalba Neri who has a small role. The Girl in Room 2A stars Giordano as Margaret Bradley, a young woman who has just been released from prison. She is offered a room at a local boarding house and soon finds that something odd is going on. She meets a man whose sister was recently staying at the house and disappeared without a trace. Together they try to investigate the disappearance but may find themselves at the hands of the red hooded killer and his satanic cult secretly living in the boarding house. Oh yeah, did I mention that a red hooded killer and his satanic cult are living in the basement killing girls who are impure? The Girl in Room 2A, as I hinted in my first paragraph, isn't just your typical Italian horror movie. It has elements of a giallo, supernatural horror, satanic horror and murder mystery all wrapped up into one sleazy little package. Giordano is stunning as our damsel in distress and the rest of the cast are all competent. There were some nice kills in the film, especially in the first 10 minutes, and a lot of brooding atmosphere. My one gripe about the film itself is the soundtrack. There were scenes where the music being played sounded more like army music (lots of brass and drum rolls) than a subtle complementary score. Though there were some slow spots I found myself pretty engrossed in the story at the halfway point, which is always a good sign and the ending didn't disappoint. Mondo Macabro's DVD looks and sounds great. There are a few scenes where the language switches from English to Italian with English Subtitles but this didn't impair my viewing pleasure. You can also choose to watch the whole film in Italian with English subs so that's probably the way to go. Also included on the disc is a lengthy interview with Giordano, a trailer and biography info.